establish guidelines governing activities by college staff, faculty, students and volunteers soliciting or accepting gifts on behalf of the College and/or the Foundation. making gifts of public funds. In recognition of the particular importance of private fundraising for public institutions of higher education, the State Attorney General’s Office established guidelines on the formation of private foundations organized to support public institutions of higher education. The governing document for that relationship is a contract between the College and the Foundation referred to as the Quid Pro Quo. This allows for the expenditure of public dollars to support the Foundation and private fundraising, while preserving constitutional prohibitions against gifting of public money to a private entity. In simple terms, the Foundation receives support for its fundraising program and is required to raise funds for the College that is at least equal to the funds provided. Due to the complexity of managing fundraising efforts and assuring appropriate accounting of use of state resources including employee time, space and other resources and adherence to laws, rules, policies and ethical standards, the College has created the College Advancement Office of the institution under the leadership of the Vice President for College Advancement (Vice President) to manage and facilitate the fundraising program and a private foundation to assist in that function where appropriate. The Foundation is the official, not-for-profit, 501(c) (3) entity responsible for managing and facilitation of the raising, receiving, administering and investing of private gifts on behalf of the College. The Vice President serves as the Executive Director of the Foundation and is the chief administrative officer of the Foundation. Any private funds given directly to the College and not the Foundation are considered state money and all state rules and regulations related to the spending of state funds apply to expenditure of those funds. Such expenditure restrictions do not apply to private foundations such as the Foundation. However, expenditures from Foundation funds are restricted by state and federal laws related to non-profit corporations, policies established by the Foundation and general ethical standards of fundraising. The Foundation and the College are separate entities. The College does not have authority to direct the activities of the Foundation. At the same time, through its Articles of Incorporation, the Foundation’s purpose is to support the College and its programs. The Foundation is careful not to establish important strategic directions for the College through its fundraising practices. The College is responsible for providing sufficient information to the Foundation that it can give due consideration in its planning to the general direction and emerging needs of the College. By law the Foundation has important fiduciary responsibilities for the funds it holds on behalf of the College. The College, to the extent that it accepts private gifts, has similar responsibilities to donors. All College community members must abide by the intentions of donors whose gifts have been accepted by the College or the Foundation on behalf of the College. Coordination of fundraising efforts across the campus is necessary to assure that we do not have multiple areas of the campus seeking gifts from the same source and that our efforts are in alignment with our strategic plans. The Foundation generally receives and expends funds from private gifts received and or solicited in the name of and treated as a gift to any part of the College or Foundation, whether wholly or partially charitable, and whether for current use or endowment. 3) If requested by the solicitee, the published number in the office of the Washington Secretary of State for the donor to obtain additional financial disclosure information on file with the Secretary of State. b. The Foundation assesses an administrative fee for fundraising through the Foundation in accordance with Foundation policy; this fee is used to support fundraising. Exceptions will be generally provided only in circumstances where foundations expressly prohibit expenditure of any funds for fundraising activities. The Vice President may waive this requirement where they determine extraordinary circumstances warrant. c. The Foundation’s tax identification number may not be used for any purpose by any member of the College community including volunteers without the express written permission of the Vice President. 1) Where specific Foundation policies exist in writing that differ from College policies. 2) In the case of accounting and cash handling procedures, the Vice President must approve in writing any deviation from the College’s policies. The Vice President shall only make such approval after consultation with the College Business Office. 3) On other matters, the Vice President will consult with the Business Office to assure that deviations from College policy are necessary and that appropriate Business Office and fundraising staff are aware of any such determinations. 1) The purposes for which the donor is making the gift are permissible using state funds, as once the gift is given to the College and not the Foundation, state expenditure rules shall apply. 2) It is further the responsibility of the individual soliciting or accepting the gift to advise the donor that the gift may not be tax-deductible and cannot be receipted as a charitable gift by the Foundation. 3) The College does not have a separate process for providing receipts for charitable gifts given directly to the College. 2. The Vice President for College Advancement (the Vice President) is the chief fundraising officer for the College and reports to the President. a. The Vice President manages the Office of College Advancement, the fundraising arm of the college, and serves as the Executive Director of the Foundation. b. The Vice President oversees coordination of all fundraising activities, including the overall supervision and management of fundraising programs, administration of staff, and management of the cultivation, solicitation and proper stewardship of all donors on behalf of the College and the Foundation, with the exception of academic grants. The Vice President works in coordination with the Academic Grants Office on both public and private grants. Any grants passed-through the Foundation to the College must be approved in advance by both the Academic Grants Office and the Vice President. c. The College’s fundraising program encompasses all gift solicitations on behalf of the College and its units. Grants are considered fundraising and are subject to additional policies (see Section B. Grants). 3. The Vice President has the authority to accept gifts to the Foundation that will assist the College and Foundation in carrying out their missions and goals. The Foundation has established an extensive gift acceptance policy to guide the Vice President in this work (attached). Direct gifts to the College may be approved by the vice president of the division where funds are to be spent and the Vice President for College Advancement. 4. The Vice President may decline or disclaim any gift (including unsolicited donations) that is considered to be inappropriate, would not serve the purposes of the Foundation or the College, or if acceptance of the gift would be contrary to the policies of the Foundation and/or the College. The Vice President may seek the advice and consent of the Executive Committee of the Foundation Board of Governors, other vice presidents and/or the President’s senior staff regarding any gift that in the Vice President’s opinion raises issues that would negatively impact the reputation of the College or Foundation or would unreasonably alter the decision-making prerogatives of either organization. 5. All gifts accepted by the College or Foundation must be accompanied by appropriate documentation of the intended use of the money by the donor(s), i.e. gift agreements; fundraising letters that clearly define the use of the money; letters that accompany gifts; grant agreements; or fundraising event promotional materials. No gift should be accepted without such a document. On the rare occasion when an unsolicited gift is made that is entirely unrestricted, the Foundation Board will make the final determination as to the use of the funds. Gift may not be accepted that are earmarked for an individual whether student, staff or faculty. 6. The Campus Art Advisory Committee and the Vice President must generally approve any in-kind gifts of artwork to the Foundation or the College (see http://www.evergreen.edu/policies/policy/artcollectionpolicy). The Foundation will normally transfer ownership of artworks to the College for inclusion in its permanent collection. Special gift agreements approved by the Vice President are required for acceptance of any gifts of art. Works of art accepted by individual areas of the College outside of this policy are discouraged. When art is accepted by an individual area of the College, that area is responsible for appropriate agreements, maintenance, storage, security and assuring the works are appraised and listed as assets of the College. 7. The Vice President or their designee will develop short- and long-term fundraising priority plans for the College in collaboration with College leadership, the Foundation Board, and other members of the College community. Financial support and staff resources will primarily be expended for fundraising initiatives approved through this process. The Vice President may approve fundraising efforts that do not fall within the priorities set by the plan. However, the Vice President will generally not approve support of such efforts by designated fundraising staff nor provide other financial support since those resources will generally be required to fulfill the plan as developed. In addition, prior approval from the vice president of the division the funds are intended to support will be necessary prior to approval by the Vice President for College Advancement. 9. No office or individual may form a separate committee, advisory group or other structure to raise funds on behalf of the College or Foundation without written permission from the Vice President for College Advancement and vice president from the related area. No such committee may make decisions about expenditure of Foundation funds. All such committees and their activities and costs must be reported to the Office of College Advancement on an annual basis. Staff working with any such groups are responsible for appropriate reporting to the Governor’s Office. 10. No one may solicit or accept gifts for outside organizations or for the benefit of individual persons using the name or resources of the College or the Foundation. b. Must attend training in fundraising provided by the Office of College Advancement. 1) Since it is not possible to provide all requirements for fundraising within this policy, members of the community wishing to or assigned to engage in fundraising on behalf of the College or Foundation must initially attend a fundraising training program. 2) Individuals are required to attend this training at minimum every three years. 3) The program will be offered each quarter and individuals are encouraged to attend more frequently than three years as laws, rules and policy are subject to change. 4) In addition to providing information related to rules and requirements the training will provide individuals approved for fundraising with basic tools and understanding to improve effectiveness of these efforts. 5) The Academic Grants Office may make exceptions to the training requirement with the approval of the appropriate vice president. Foundation grant seekers must attend training. 6) Upon verification of completion the vice president of the appropriate division and the Vice President for College Advancement must verify in writing that an individual is approved to undertake fundraising on behalf of the College and or the Foundation. Each subsequent initiative undertaken by the individual must be approved by the appropriate vice president. 12. Fundraising events must be approved by the Vice President for College Advancement and divisional vice president. Planners must also follow the College’s event policy. The Vice President generally will not approve fundraising events that are not expected to raise at least $500 because the effort required to solicit and steward small amounts exceeds the value of the gift(s). Please note that this Fundraising policy has significant time lines for approval and last minute requests will be denied. 13. All students and employees collecting funds on behalf of the College, the Foundation, or any group or division within the College must follow the procedures in the Cash Handling Policy, and must deposit all such funds into the account established in advance by the Office of College Advancement for Foundation accounts or divisional state accounts as established by appropriate personnel in each division. a. Expenditures must comply with College purchasing, accounting and travel policies or, where appropriate, Foundation policies. b. The form must contain sufficient information to reasonably conclude that any fundraising effort undertaken will raise an amount of money sufficient to cover the costs of raising such funds. At minimum this will include the cost of any state or Foundation resources expended including staff time, space, materials etc., as required by the contract between the College and the Foundation. 15. Any contact with the State Legislature or Congress for the purpose of increasing funding to the College must be coordinated through the Director of Government Relations or the Academic Grants Manager. a. No fundraising is allowed for support of political campaigns or initiatives. b. No member of the college community, whether staff, faculty, student or volunteer, may establish a private checking account to hold funds raised for purposes of supporting the College or the Foundation. No Foundation account may be established for “petty cash”. Only agency accounts may be established for the purpose of providing “petty cash” under the College’s rules. c. Fundraising for support of lobbying is generally prohibited. Any exception must be approved in advance by the President of the College and the Vice President for College Advancement on behalf of the Foundation. Prior donor approval for such activity is also required regardless of whether the donor is a person, foundation or corporation. All funds raised for lobbying must be deposited in Foundation accounts. The purposes of such lobbying must be directly in support of the College or its programs. Detailed records of all expenditures must be submitted monthly. Because these funds do not qualify for tax exemption, any approval is also contingent on the understanding that funds raised will be used to support the Foundation’s tax liability related to these expenditures and additional fees will apply to support the administrative costs of preparing additional tax forms to report such expenditures. d. There are special circumstances where a fundraising activity may be appropriate for most members of the community but is prohibited by state ethics laws for persons in certain positions or because of their direct role in making decisions related to the purchase of goods or services. For example, ethics law prohibits anyone who signs contracts for purchase of goods or services from soliciting gifts from those entities. e. Solicitation of gifts from other employees may be done only after all other appropriate approvals in this policy and with due consideration that no senior level employee shall directly solicit an employee for whom they have direct supervisory responsibility. 17. Registered student groups that wish to raise funds for their group must follow the procedures established by Student Activities. In circumstances where the funds raised are to support College programs and the funds are to be deposited in Foundation accounts, students must follow the provisions of this policy rather than those established by Student Activities. a. Student groups must submit a completed “Request to Raise Funds” form, signed by the divisional vice president or designee, to the Vice President for College Advancement well in advance of the fundraising event or activity. Depending on the nature of the event, adherence to the College’s Events Policy (see http://www.evergreen.edu/policies/policy/eventsecurityandsafety) may be required and for some kind of events special licenses or permits may be required. Some of these can take up to 60 days. b. Foundation and College accounts will be created only for approved fundraising events/activities. c. Student groups that raise funds for non-college activities or groups unrelated to the College may not deposit those funds into Foundation or College accounts. d. Student groups sponsoring events must complete the Event Sponsor Form and identify potential risks. The divisional vice president or the Vice President for College Advancement may require a Risk Assessment Review. a. Funds raised through the College or Foundation must be spent in accordance with the intentions of the donor. b. If a College or Foundation employee incurs expenses that have not been pre-authorized by the vice president of their division, they may not be paid out of College or Foundation funds. 19. The Foundation grants no authority to staff, faculty, student or volunteers to enter into contracts, agreements or permits committing Foundation funds or placing the Foundation in a position of legal responsibility for an event. All such documents shall require the signature of the Vice President for Advancement or their representative. 1. Either t he College or the Foundation is the official applicant of record for all grants and, if awarded, the official recipient of grants and contracts. 2. The College’s Academic Grants Office (AGO) coordinates grant submissions for the College and the Foundation, and provides grant seekers advice and guidance throughout the process. All applications for grant funding begin and end with the AGO. The Academic Grants Office (AGO), in consultation with relevant college administrators, determines whether the college or the Foundation is the applicant at the time an application is submitted. Generally, private grants received through the Foundation are “passed through” to the College and are then treated as state money. Exceptions to this policy require approval of the Vice President in consultation with the Academic Grants Office and the Business Services Office. For this reason grant applicants should be certain that the purposes for which they seek private grant funding are appropriate purposes for expenditure of state funds. 3. To initiate work on a grant project, the division’s budget coordinator sends an email to the AGO with authorization to work on the grant. The AGO requires the same prior-approval process as a new program for renewals and/or continuations of current externally funded programs. 4. If a grant allows the College to recoup indirect costs, the AGO will request the maximum amount allowable. The AGO will use all allowable direct costs, including salaries and wages of student employees of a grant project, for calculating indirect costs unless they are specifically excluded by the funding organization. 5. The originating division’s budget coordinator and vice president, and the Vice President for Finance and Administration, must sign and approve all grants and contracts prior to submission. Any grants that will be received through the Foundation must also have the signature of the Vice President for College Advancement. Each division may have additional approval requirements. 6. The AGO is responsible for securing final signature approvals and submitting grant applications. Prospective grant- or contract-funded project leads must anticipate having a contract with the College for the duration of the grant. The vice president of the division where the project will be administered will determine specific eligibility requirements. Training: Individuals working on grant- or contract-funded projects must meet the training requirements established by the conditions of award, college policies, and state and federal law. 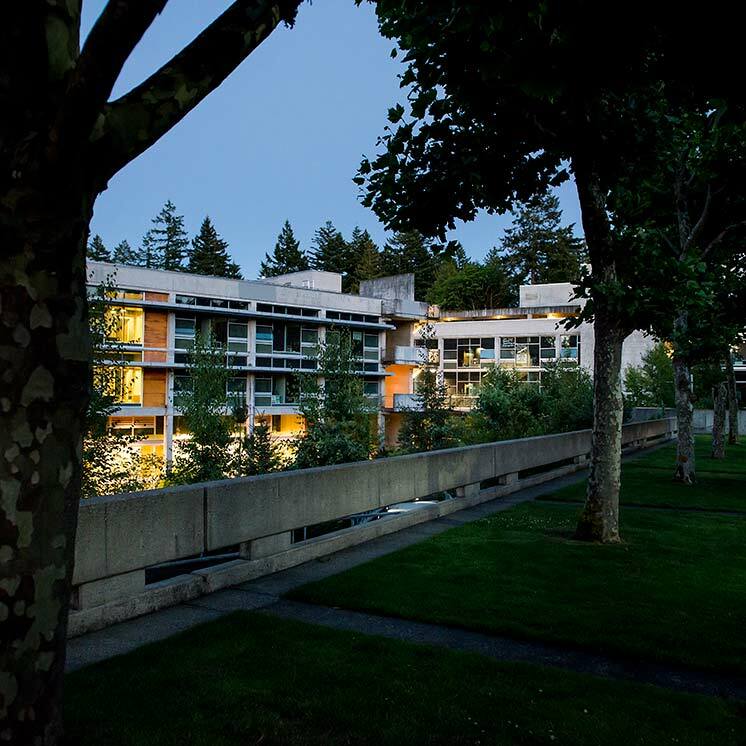 Staff and members of the faculty who are supervising any college employee as part of a grant project must complete training as required by the college, including but not limited to workshops on Evergreen’s Ethics and Sexual Harassment policies. A Project Supervisor (PS), Principal Investigator (PI), or other grant funded employee expecting to administer sub-contracts as part of a grant must complete appropriate contract training with the state’s Office of Financial Management, in accordance with state law. Contract: An agreement between the College and another entity in which one party provides goods or services and the other provides some form of payment in money, goods, or services in exchange. Grant: An award of financial assistance, including a cooperative agreement, in the form of money, or property in lieu of money, to an eligible grantee. The definition does not include: technical assistance (i.e., services) instead of money; revenue sharing; loans; loan guarantees; interest subsidies; insurance; direct appropriations; or assistance such as fellowships or other lump sum awards for which the grantee is not required to account. Indirect costs: Part of a grant budget intended to cover college overhead expenses as part of administering a grant program. Indirect awards are often calculated as a percentage of all or a portion of budgeted direct expenses. There are established maximum indirect rates for federal and state grants at Evergreen. In-kind gift: A donation of goods or services (not money) such as a contribution of equipment, supplies, space, or staff time. The donor may place monetary value on such a contribution for tax purposes. However, an in-kind gift of services or partial interest is not tax-deductible. Non-charitable gifts: Gifts that are not eligible for tax deduction according to IRS guidelines. Fundraising activity: The solicitation of gifts by any means of cash, equipment, property, or in-kind donations. Sponsorship: An agreement to assume the financial responsibility for all or part of the cost of a special event, program, or activity. State Resource: use of any person, money, or property under the officer's or employee's official control or direction, or in his or her official custody, This includes but is not limited to a state employee’s time, office supplies, computers, printers, fax machines, email, etc.